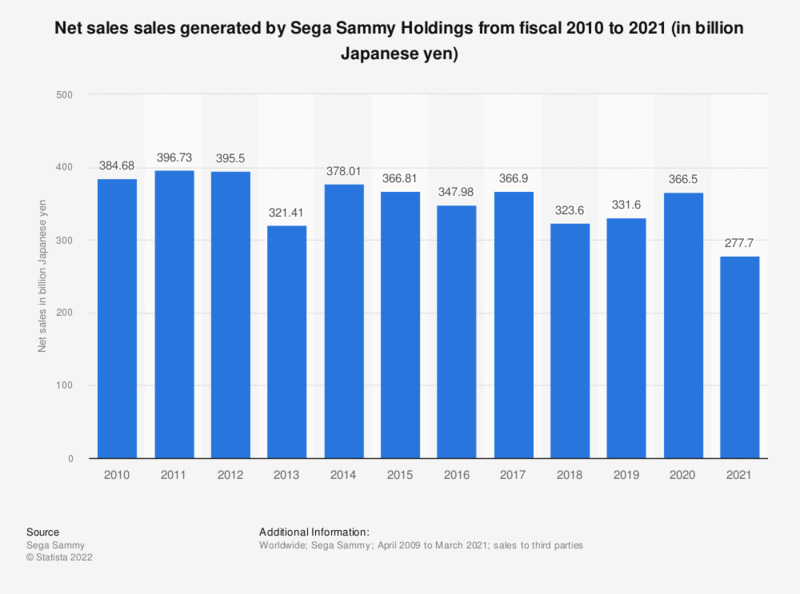 The statistic presents the net sales of Sega Sammy Holdings from fiscal years 2010 to 2018. In the last fiscal year that ended March 31, 2018, Sega Sammy generated 323.6 billion Japanese yen in sales revenue. As the recognition of net sales was changed from a net basis to a gross basis and from a shipment basis to a delivery basis in fiscal 2016, figures for fiscal 2015 reflect these changes retrospectively.